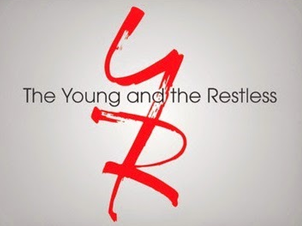 Check out the weekly spoilers and a sneak peek video below to find out what's happening on CBS soap opera The Young and the Restless during the week of January 25-29, 2016. * Adam's (Justin Hartley) life is in danger during Chelsea's (Melissa Claire Egan) fashion show. * A surprising alliance comes to light. * Jack (Peter Bergman) opens up to Billy (Jason Thompson). * Natalie (Mara McCaffray) looks to make a deal with Kevin (Greg Rikaart) and Mariah (Camryn Grimes). * Sage (Kelly Sullivan) battles back. * Ashley (Eileen Davidson) makes a move with Simon (Michael E. Knight). * Ashley asks Simon to end her life. * Simon has strong words for Ashley's request. * After discovering she is getting better, Ashley and Simon share a passionate kiss. * Abby (Melissa Ordway) sets boundaries with Max (Jared Breeze). * Dylan (Steve Burton) sticks up for Nick. * Victoria (Amelia Heinle) comes face to face with Natalie. * Marisa (Sofia Pernas) confesses to Chelsea. * Noah (Robert Adamson) asks Luca (Miles Gaston Villanueva) about his plan for Victor (Eric Braeden). * Hilary (Mishael Morgan) argues with Nikki (Melody Thomas Scott) about Neil (Kristoff St. John). * Phyllis (Gina Tognoni) has questions for Billy. * Jack urges Ashley to return to Jabot.